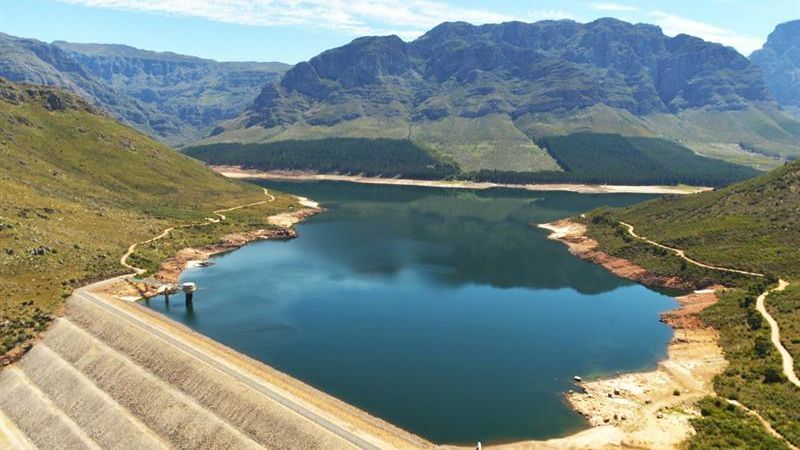 According to the City of Cape Town’s latest dam report published on Tuesday, the city’s supply reservoirs are now a combined 74% full. That’s an overall increase of 4% over the previous week. At present, five of the six large dams that supply Cape Town with water are above the 90% full mark. This includes two of the city’s three largest dams, the Voëlvlei and Berg River. The latter last week breached the 100% full mark, but its waters have subsided to 99.9% according to this week’s report. The Voëlvlei smashed past the 90% barrier this week, gaining 7.7% over the previous week. The Steenbras duo are now more than 90% full, while the Wemmershoek Dam gained 4.4% to begin this week at 94.4% full. Finally, the Theewaterskloof Dam is just 56% full despite it adding 3.5% to its level over the previous week. Nevertheless — and a testament to its sheer size — it still holds almost double the amount of water than the Voëlvlei holds at its present level. The continued supply increase in September is largely thanks to above-average rainfall throughout the month. The Theewaterskloof Dam’s catchment area has received 40.5mm of rain this month, 0.8mm more than usual. Sure, marginal, but other areas are more sodden. 74.5mm of rain has fallen over the Voëlvlei Dam this month. That’s nearly 30mm more than usual, according to the City of Cape Town. More spectacularly, the Wemmershoek Dam received more than 126mm in September, some 44mm more than its long-term average for the month. Overall, dam levels have been helped by low water consumption across Cape Town. Just 511-million litres per day were used during the previous week, slightly up from 505-million the week prior.